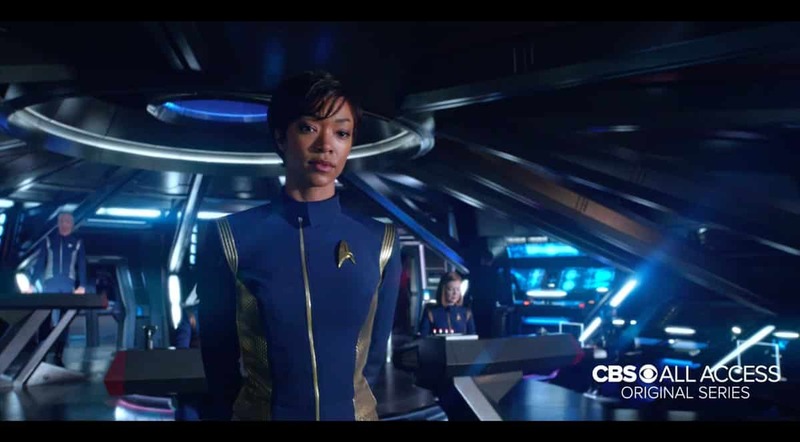 The build-up to the release of Star Trek: Discovery has been problematic at best, leading to its core fan base of serious Trekkies and Trekkers becoming increasingly negative towards the project. The constant reassurances from the show’s creators, saying that it would be worth the wait, were undercut by reports that this show wasn’t going to live up to the lofty standards of Star Trek’s 51-year legacy… much like the previous two films. Actor Jason Isaacs made questionable statements which seemed to insult Star Trek itself, enraging fans. Nobody could even tell what timeline the show would be set in. All fans could do was wait and see, and now the show has finally arrived. The result is Star Trek, but not as fans know it. 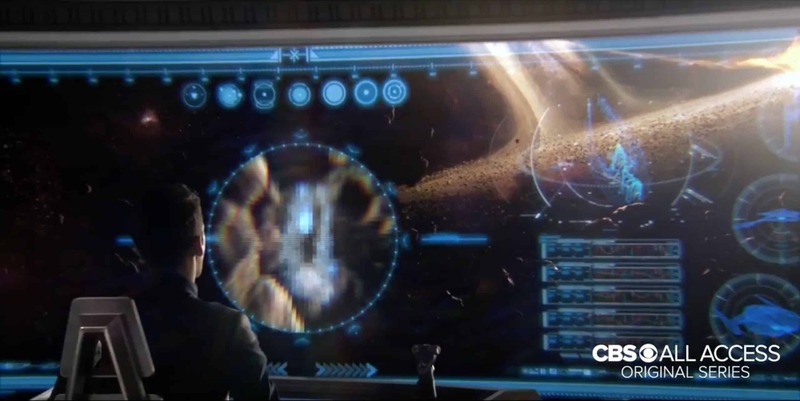 With its cinematic visuals, impressive effects and sets, and its dramatic story, the first two-episode story arc of Star Trek: Discovery looks like it should be shown at a cinema and not on TV. It’s big, bold and dramatic, looking like a high-quality production right from the start. 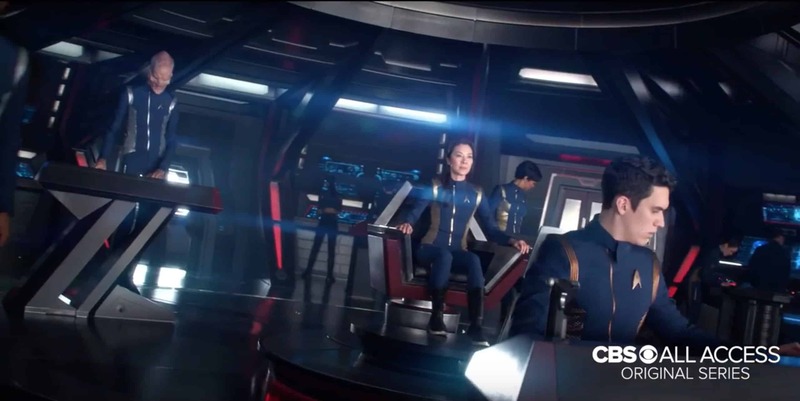 The casting is superb, the uniforms look decent, the nostalgic noises of the USS Shenzhou’s bridge are there and the space battles are a joy to behold. Unfortunately, beyond the spectacle, there’s very little which is readily identifiable as Star Trek. The episodes may set up the beginning of the Cold War between the Klingons and the Federation, but it’s a simplistic by-the-numbers story. The Klingons, for all the emphasis shown on them, seem more like standard villains-of-the-week and have very little personality. The same is true for the crew of the Shenzhou, even with a couple of flashbacks of Michael’s history thrown in. Yes, these episodes serve as a prologue to the main series, but one of Star Trek’s strengths has always been an emphasis on getting to know the crews so that the audience can relate to them. Presumably, almost everyone except Michael (and possibly Science Officer Lt. Saru – played wonderfully by Hellboy star Doug Jones) is a disposable “red shirt”, which hurts the overall impact of the show. The message is clear: this is Michael’s show. Unfortunately, Michael is cut from the same cloth as Rey in Star Wars: The Force Awakens. She knows it all and can do it all, from arrogantly pushing aside Saru at the Science Station to do his job for him to surviving two trips into space – once nearly dying by having her DNA unravel and once nearly dying because she isn’t wearing a spacesuit – with little ill effects. Again, while these episodes serve as a prologue, she comes across as arrogant and unlikeable, so stubborn in her belief that she’s always right about everything that she cuts down anyone in her path… even if they’re on her side. How she’s being considered for her own command (despite these huge flaws) force-feeds viewers the belief of how awe-inspiring a character we’re supposed to view her as. It doesn’t work. Instead of looking competent, she looks like a show-off, too perfect for her own good and with an ego which dwarfs that of Captain Kirk. While Sonequa Martin-Green excels in the role, the character simply isn’t written well, and that’s one of the biggest flaws since Michael is supposed to be pivotal to the story and make us want to follow the show. Hopefully, when this series kicks in properly, it’ll present her in a different light and we’ll see her develop into a more rounded character. Television has changed a lot since the glory days of the original series, The Next Generation, Deep Space Nine, Voyager and, yes, even Enterprise. Television shows – especially big budget “concept” shows like this – are more episodic than self-contained these days, and it looks like the new format of this show will follow suit. Along with its movie-like quality, Star Trek: Discovery also has movie-like dialogue, which isn’t a plus but that seems to be how this new series will be. In the past, Star Trek has also served as an allegory for real-life issues, something these Star Trek: Discovery episodes don’t show. None of these are bad things in themselves, but a little more of an old-school TV mentality would have helped. Episodes 1 and 2 of Star Trek: Discovery aren’t bad TV. They’re glossy, exciting at times, intriguing, and look great. But beyond that superficial gloss there are flaws, although how serious they are will probably depend on the viewer’s level of fandom. If it were any other sci-fi show, these episodes would be very good viewing; having a Star Trek logo on it means it really should be better though. The negativity is a bit premature. Need I remind you that Star Trek TNG’s first two episodes are barely watchable. Give the series some time to find its feet. I’m a die hard Trekkie and enjoyed the first two episodes which feels like it is setting the tone for bigger things to come. I enjoyed it. can’t wait to see how the story unfolds.